As you should have noticed, I finally decided to use my .net domain for this blog. At first I planned to use it for a Wordpress-based mirror of all entries from here, but it turned out that a free blogging platform (Blogger) is more convenient to use than Wordpress on a paid server. The process of domain change turned out to be a hassle, with unexpected problems appearing at nearly every step, but hopefully everything works OK by now. I'll work a bit on improving the blog design and description in the next few weeks; hope I'll have some free time to write several new reviews as well. 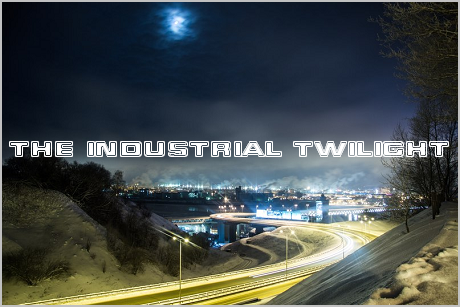 I created this blog mostly because I wanted to practise my English skills, and to showcase the industrial, gothic, punk, metal, neofolk and progressive rock scene of Russia/ex-USSR and Eastern Europe (especially Hungary) in the meanwhile. * lo-fi - various poorly recorded demos from before 2000 that are of historical importance. Most of these demos come from the USSR era, so you might want to check out the USSR category as well. As of now, I try to post only music that has already been made free by the artists themselves, or the rare old releases that are out of print. But if you're an artist and would like me to remove the download links of your work, just contact me using the form below. Sorry, I don't do reviews by request, I don't have the time. Moreover, I think the bands that feel the need to advertise themselves by sending their demos to as many blogs as possible are usually just plain boring. If you want to contact me for any other reason, use the contact form below. It should be obvious enough that reviewing anything on here doesn't equals endorsement of artists' personal views. This especially concerns neofolk and martial industrial. It'd be fair enough to say that I have the same approach to the political and religious topics in these genres as Laibach do. Many of the female musicians featured on my blog are amateur models, and in many cases their modelling work is no less interesting than their music. Right now I'm working on giving it a separate section of the blog (just in case if anyone wants my review to be only about their music and not their looks). The work is in progress, check back later if you're interested. The title of my blog comes from a song by The Kovenant (album "SETI", 2003).